POSEN, Ill. (WLS) -- A man was charged in the shooting death of a 14-year-old boy in south suburban Posen, but the investigation is not over. 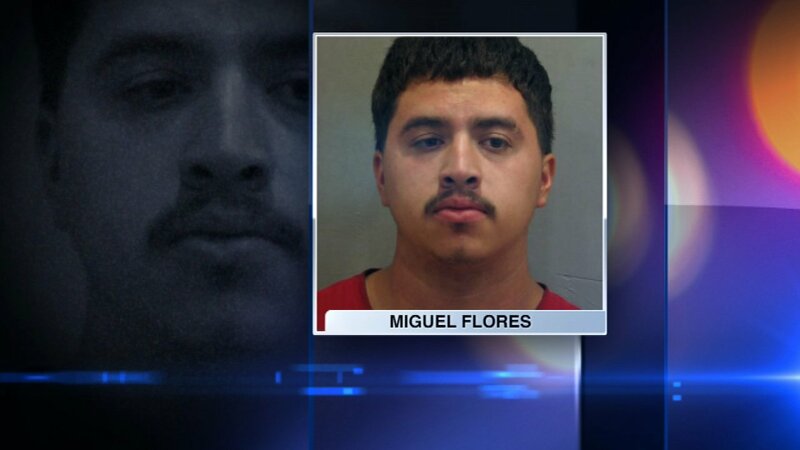 Miguel Flores, 21, of Midlothian, was charged with first-degree murder in the Aug. 4 death of Alex Saldana, police said. Flores' bail was set at $1 million. The teen was shot in the abdomen just after 11:10 p.m. in the 14600-block of South Division Street, the Cook County Medical Examiner's Office said. Saldana, who lived on the same block where he was shot, was with friends when a car drove by and someone inside started shooting, police said. The boy was transported to Advocate Christ Medical Center in Oak Lawn, where he died at 11:52 p.m. His death was ruled a homicide. It's unclear if Flores was the alleged shooter or if it was someone else in the car. The investigation is ongoing.